Westwood Diabetes Care: Type 1 and Type 2, What’s the Difference? Type 2 Diabetes is preventable, whereas Type 1 is not. The former is usually diagnosed in later adult years, after a lifetime of unhealthy habits such as lack of exercise and unhealthy diets. Type 1 Diabetes is diagnosed in early childhood or young adulthood with episodes of low blood sugar level. Both kinds of Diabetes can result in blindness, renal failure, heart disease, stroke, and foot or leg amputation. Diabetic symptoms include insatiable thirst, fatigue, and increased urination. A-1 Home Care in Westwood provides high quality Diabetes Care at the most competitive rates in LA County. Do you have an elderly loved one who lives alone, or do you live far away from a loved one who has Diabetes? Are you concerned that their other health conditions may prevent them from taking care of themselves as much as they need to? Have no fear! 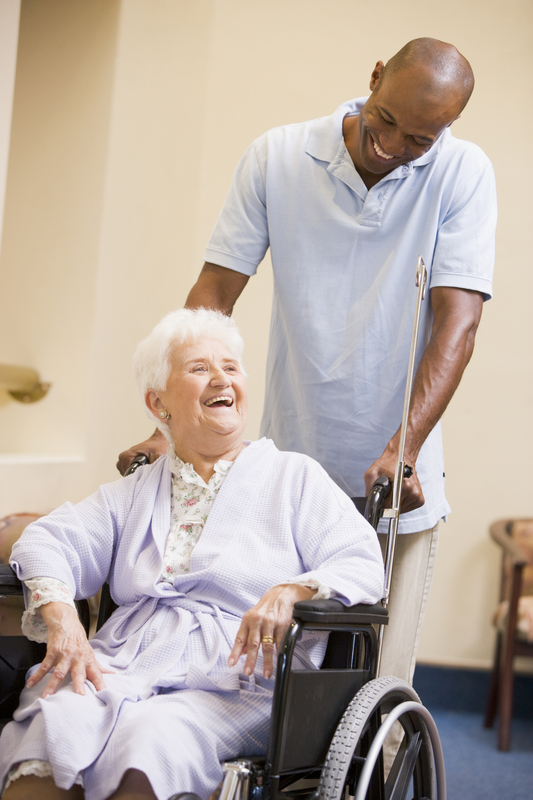 A-1 Home Care in Westwood has highly skilled caregivers living in every city of LA County and Orange County. Our certified nurse aides and home health aides will help your elderly loved ones control their blood sugar levels and prevent further serious health complications. 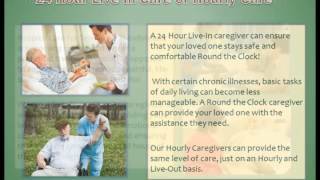 Round-the-clock care includes assistance with meal preparation, chores, personal care, transportation and companion care. 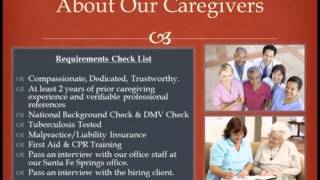 Why A-1 Home Care in Westwood? 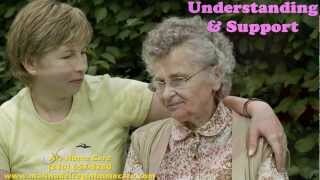 A-1 Home Care is the preferred in-home care agency for seniors in Westwood because of our outstanding reputation for superior live-in and live-out elder care services. 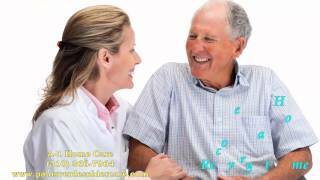 We specialize in senior care but also provide other types of in-home care, such as Diabetes Care, Parkinson’s Care, Multiple Sclerosis Care, Lou Gehrig’s Care, Arthritis Care and more. Since its inception in 1991, A-1 Home Care has won the hearts of many seniors, and in return they have continually referred friends and relatives to us, thanks to our highly skilled team of caregivers. 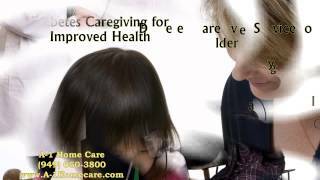 Find out more about A-1 Home Care’s easy financing options and various in-home care services by calling (310) 657-8780 or visiting www.westwoodinhomecare.com for services in Westwood, Beverly Hills, Santa Monica, Culver City, Hollywood, Pasadena and other cities in LA County. Stay in touch via Facebook and Twitter! According to statistics from the National Health and Nutrition Examination Survey, an estimated 69.7 million adults (age 20 and over) were diagnosed with prehypertension and about 75 million Americans have hypertension, which leads to vascular disease, chronic kidney disease, myocardial infarction (medical term for heart attack), stroke and many other health conditions. Asymptomatic, hypertension affects millions of adults unbeknownst to them until they go for a medical check-up. If your elderly loved ones need help breaking some bad habits that put them at risk for high blood pressure, A-1 Home Care in Westwood offers 24-hour support that will assist them in making life-long adjustments to manage cardiovascular risk factors. As gym rats depend on personal trainers to help them reach their fitness goals, seniors also need motivation from a caring, seasoned, and highly skilled live-in caregiver to help them with their cardiovascular goals. Making lifelong modifications isn’t easy. Ask anyone who is trying to lose weight, gain muscle or quit an addiction. However, it’s worth the fight if it means reducing future chances of heart attacks, kidney diseases and other more serious health issues if your elderly loved ones are still relatively healthy. Not only would 24-hour caregivers provide the encouragement to sustain a well-balanced lifestyle, they also help out around the house with light housekeeping, meal preparations, transportation, errands and more. A-1 Home Care in Westwood makes it easy for seniors to stay motivated and healthy. 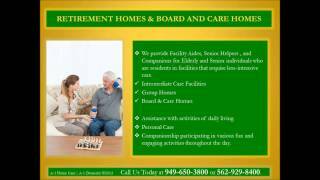 A-1 Home Care is licensed, bonded and insured. This means that any time you sign up for round-the-clock caregiving services with us, you can be sure that your live-in or live-out caregiver has a clean criminal background, verifiable professional references, clean driving DMV record, and a trustworthy and reliable character. A-1 Home Care is open 24 hours a day diligently serving seniors in Westwood, Hollywood, Beverly Hills, Culver City, Santa Monica, Century City and other neighboring cities. When you call A-1 Home Care, you will always get a live operator who is on stand-by, ready to take your calls! That’s because we still believe in the importance of having a real human being on the other line rather than alienating you with an automated answering service. Find out more about A-1 Home Care’s easy financing options and various in-home care services by calling (310) 657-8780 or visiting www.westwoodinhomecare.com for more details. Does this scenario sound familiar to you? Your elderly mother, once well-kempt and clean, now refuses to step into the shower or receive bathing assistance. She eats unlikely food combinations such as eggs and peanut butter together. She makes it a point not to get her nails done or go to a hairstylist. Her stubborn refusal to do anything is wearing down your defenses; you’ve run out of ideas to help your mother whose condition is clearly disintegrating. What do you do now? Leave it to the in-home care professionals at A-1 Home Care in Westwood! Oftentimes, a senior’s refusal to abide by an adult son or daughter’s instructions stems from embarrassment. The roles have switched, and it’s hard to transition from being the provider to being the care recipient. The senior’s dignity is at stake, and he’s willing to do anything to preserve a sense of pride. Hiring a professional will often do the trick, because that’s their “job” and the elderly are more receptive to professional help than assistance from their own flesh and blood. Start with A-1 Home Care in Westwood now, because building a caregiver/elder rapport later during the more advanced stages of Alzheimer’s will be more difficult. 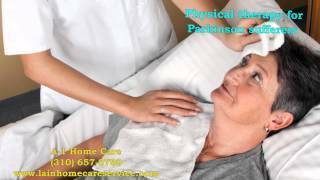 Since its inception in 1991, A-1 Home Care has been providing excellent 24 hour home care services in Westwood, Beverly Hills, Hollywood, Century City, Santa Monica, West Los Angeles, Culver City, Marina del Rey, and other cities throughout LA County. You can finance elder care through our easy payment options and our senior care services are covered by Veteran Benefits and most long-term care insurance providers such as John Hancock, MetLife Insurance and Penn Treaty. We are open 24 hours a day, seven days a week, including major holidays like Easter and Independence Day. Chronic brain pain results from trauma to the nervous system. Damage could be caused by diseases like diabetes, cancer, multiple sclerosis, or some other neurodegenerative disease. The prefrontal regions of the brain, which controls conscious decision-making, personality, memory and social behavior, are adversely affected and produce impaired cognitive activity, memory loss, and difficulty in concentration. Exposed to normal stimuli, the damaged nerves send incorrect messages to the pain regions in the brain that are heightened in sensitivity. Are you or a loved one suffering from neuropathic pain? 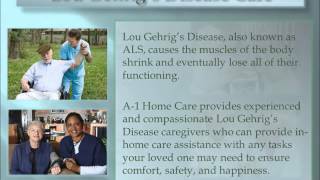 Let A-1 Home Care in Westwood send caregiver assistance along the way! Neuropathic pain interferes with one’s ability to perform menial tasks that we take for granted. Depending on the extent of brain damage, one’s quality of life is severely compromised. 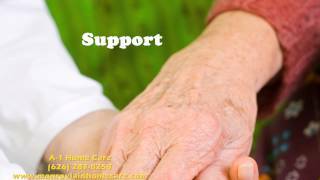 To offset the pain, let a skilled caregiver from A-1 Home Care in Westwood pamper your feet that may have nerve damage. The companion care worker could also prepare a nice warm bath which will increase blood flow and lessen bodily stress. When it gets too painful to move your legs or arms, an intuitive and gentle caregiver will apply capsaicin cream to ameliorate the symptoms. 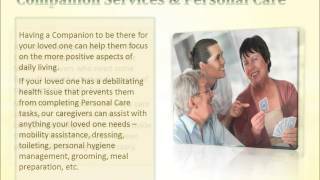 In-home senior care entails assistance with activities of daily living, such as light housekeeping, meal preparation, transportation, bathing, grooming and hygiene. A little help around the house goes a very long way. Oftentimes, nerve damage is permanent and requires long-term care. Because neurons don’t regenerate like other somatic cells, persons living with neuropathic pain need in-home care for the long haul. Are you a family caregiver living with a loved one who depends on you for physical assistance and emotional support? Do you find yourself burned out at the end of the day? Perhaps a week or two may not take a toll on you, but if you are a woman who single-handedly is taking care of children and an aging parent, it would be harder for you to re-enter the workforce if you take time off from work. A-1 Home Care in Westwood delivers the best home care assistance at the most competitive rates in Los Angeles County! Find out more about A-1 Home Care’s easy financing options and various in-home care services by calling (310) 657-8780 or visiting www.westwoodinhomecare.com for more details. Neuropathic Care, Senior Care, Alzheimer’s and Dementia Care, and other various types of elder care are available in your local areas like Westwood, Culver City, Hollywood, Beverly Hills, Century City, and other cities throughout Los Angeles County.